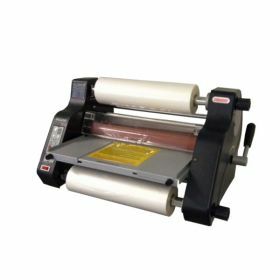 Laminator.com offers Wide Format Thermal Roll Laminators from industry leaders GBC, Seal, GMP, Ledco, Tamerica, D&K, Graphic Technologies and Royal Sovereign. 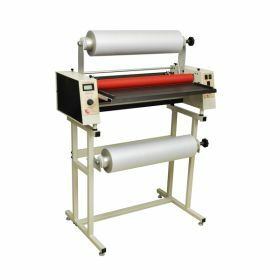 These wide format roll laminators include the features demanded by the copy and print shop industries as well as government and school agencies for quality lamination output. 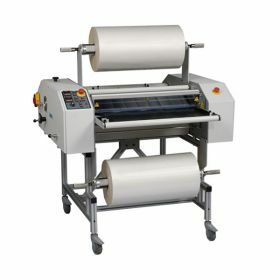 Choose from our wide variety of quality thermal laminating machines for your wide format laminating needs. The GBC Catena 35 Roll Laminator is one of the highest quality roll laminators on the market. It laminates, encapsulates and mounts digital output using film up to 10mil in thickness. 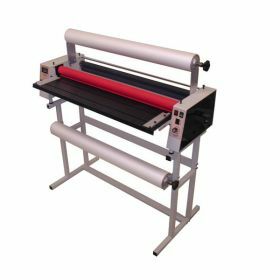 The Tamerica TCC-1400i Professional Roll Laminator is a 14", user-friendly roll laminator and mounting machine that can accommodate up to 10mil in thickness. 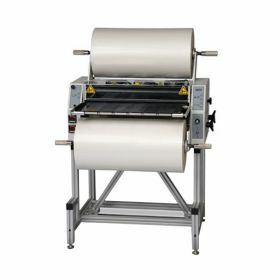 The Pro-Lam PL1200HP 12" Roll Laminator is designed for the commercial laminating marketplace. Stand Included. Made in the USA! 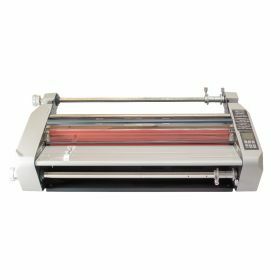 The GMP Excelam 685 is a 27" wide format laminator that offers a high quality, cost effective laminating solution to even the most novice user. 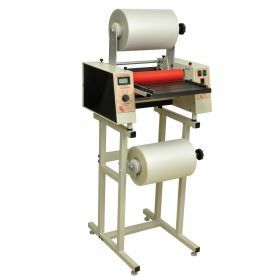 Roller gap control for mounting up to 3/16"
The GMP Excelam 655 is a 25" wide format laminator that offers a high quality, cost effective laminating solution to even the most novice user. 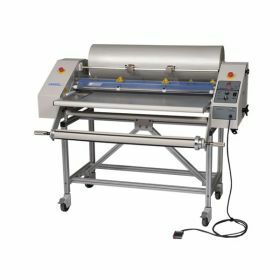 The Ledco HD25 25 inch WorkHorse Roll Laminator is a high quality commercial roll laminator designed for the trade lamination market and other laminating environments that demand a trouble free durable roll laminator. The Pro-Lam PL227HP 27" Roll Laminator is a feature rich commercial 27 inch roll laminator that is Made-in-the-USA! Featuring a 16 FPM lamination speed and a ¼ inch mounting capability the Pro-Lam 227HP roll laminator provides superior lamination output. 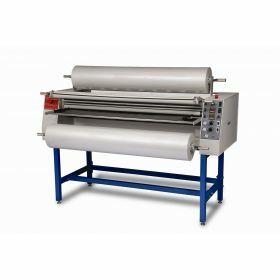 The Ledco HS30 Thouroughbred High Speed 30 inch Roll Laminator is newly designed to include even more features to assist in providing the highest quality lamination output at a laminating speed of 65 feet per minute. 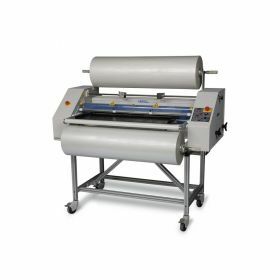 The Pro-Lam PL-238WF 38" Wide Format Roll Laminator is designed for the commercial laminating marketplace. It is an affordable feature rich Made-in-the-USA high quality roll laminator that includes a mounting capability of 3/16 inches. 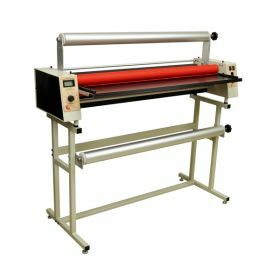 The Ledco HD 38 Roll Laminator is a feature rich wide format production roll laminator geared toward the heavy duty roll laminating market. The Ledco HD 38 is loaded with the features necessary for the print and government industries! 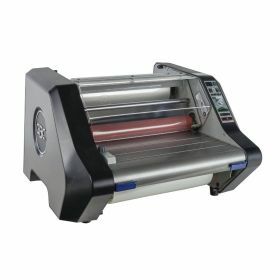 The Signature EM-40-HR Roll Laminator is the most affordable wide format roll laminator on the market today. With a 40" laminating capacity it is the perfect choice for any entity that has a 36 inch wide printer. 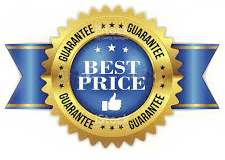 One Year Warranty! 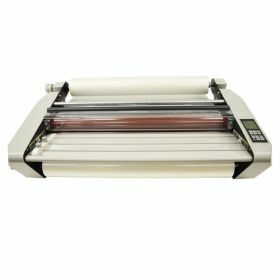 The Excelam 1080 is a high quality 42" thermal roll laminator capable of encapsulating and mounting. Its ease of use makes it ideal for schools and small print shops. The EXP 42" Plus Roll Laminating Machine is ideal for the print shop, copy shop and government environments with large volume laminating needs. This feature rich roll laminator provides you with all of the tools necessary for high quality results. 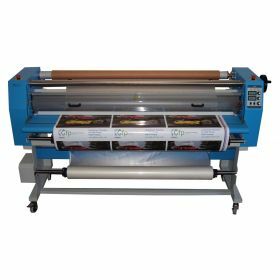 The Ledco Digital 42 inch Laminator is a feature rich high quality roll laminator designed for the wide format laminating market. It is ideal for those who need to protect and enhance output from a 36 inch wide printer! The Ledco Signmaster Roll Laminator is perfect for the wide format print marketplace.With the Signmaster unit you can Apply Transfer Tape, Apply Vinyl to Sign Blanks, Mount or Mount/Laminate in one process and Apply All Pressure-Sensitive Materials. 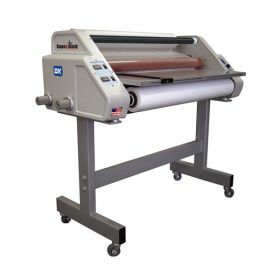 The Pro-Lam PL-244WF 44" Wide Format Roll Laminator is designed for the commercial laminating marketplace. It is an affordable feature rich Made-in-the-USA high quality roll laminator that includes a mounting capability of 3/16 inches. 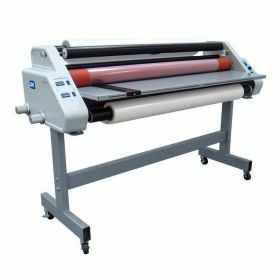 The GFP 847HD is a versatile 47" wide format roll laminator that delivers versatility, quality and economy all in one easy-to-use unit. It is capable of laminating, encapsulating and mounting. The EXP 62" Plus Roll Laminating Machine is ideal for the print shop, copy shop and government environments with large volume laminating needs. This feature rich roll laminator provides you with all of the tools necessary for high quality results! 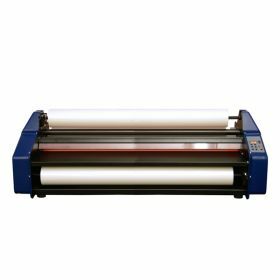 The GFP 865HD is a versatile 65" wide format roll laminator that delivers versatility, quality and economy all in one easy-to-use unit. It is capable of laminating, encapsulating and mounting.